When we visited Seattle, I just HAD to visit its iconic landmark, the Space Needle. 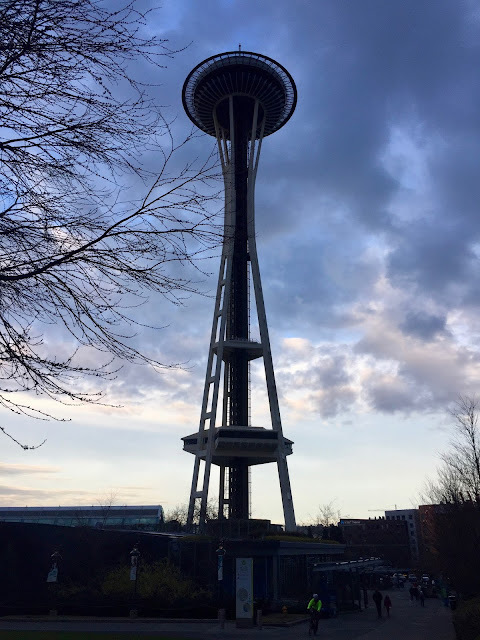 Completed just before the 1962 World’s Fair, the Space Needle is a rotating observation tower that has an outdoor deck, epicurean restaurant and museum. The deck smoothly rotates at a rate of 1 revolution per hour, so despite getting motion sickness very easily, I was fine. Going up to the observation deck is a must. 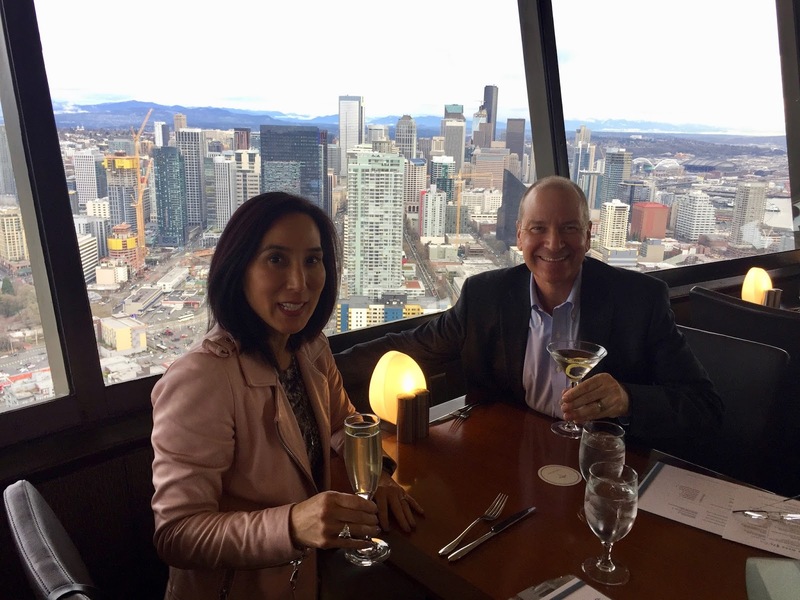 It’s more than 520 feet in the sky and has an incredible view of the Emerald City (Seattle) and Elliott Bay. In addition to the observation deck, the Space Needle is home to a museum that provides details on its history. Eating at the restaurant, Skybar, is a once-in-a-lifetime experience. Though it’s pricey, the food is excellent and seeing the city views while dining is unforgettable. In addition, if you dine at the restaurant, the price of admission to the observation deck is included. If you are in Seattle, I highly recommend visiting the Space Needle!